One of the best charter bus providers in Chattanooga. Our rates are comparitively cheap. Call us today to get the best rate for Deluxe Motor Coach, Mini Bus, School Bus, Party Bus, Limousines, Van and more... for any of your charter bus events. Prompt Charters is the leading charter bus rental company in Chattanooga. 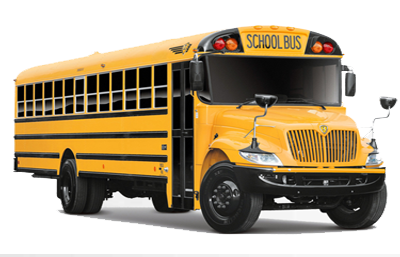 As the largest charter bus company in Chattanooga, we have the latest 56 seat coach buses, 25-32 seat minibusses, and 48 seat school buses. We manage all types of charters for weddings, corporate events, conventions, field trips, and political campaign. Call us today 877 277 6678 to book your buses. We do charter services to nearby cities such as Knoxville, Memphis, Nashville, Atlanta. Chattanooga has everything for you. Plan any of your events from a Corporate or Group Travel, Sightseeing Tour or Professional Sports, Religious Convention or Bachelor/Ette Party, or Wedding or Convention, and Trade Show, and School Field Trip or Political Campaign. With its vibrant riverfront on the banks of the Tennessee River, spectacular mountains, and unique attractions, along with a variety of restaurants and hotels, you'll see why Chattanooga, Tennessee is A Great City by Nature. Come and explore Chattanooga. Experience everything that Chattanooga has. The Variety dining options offered at the restaurants here will tempt you from BBQ to hand-dipped chocolate truffles, or animal cracker ice cream. Enjoy anything from seafood, pizza’s, mouth-watering Italian food and other delicious. The Asian-influenced restaurants will tingle your taste buds. Chattanooga is an outdoor paradise with scenic beauty and picturesque mountains. Chattanooga area's mountainous landscape offers to hang gliding or hiking, mountain biking or biking along a leisurely-paced winding bike path. Once you're off the trail, you can rest at one of the area's scenic campgrounds or RV parks. Chattanooga has a number of hotels for you to stay and rest. While you are in Chattanooga visit the very many attractions the city offers. Explore downtown and watch Tennessee Aquarium, Hunter Museum of American Art, Bluff View Art District, Chattanooga Choo Choo, Ruby Falls, and Rock City. Spend some time in Tennessee Riverwalk, and strolling along Walnut Street Bridge. The golf courses here virtually provide anyone a challenging play. Diverse shopping and event experiences will nourish your travel memories. The attractions in Chattanooga provide enough without any difference to adults or children. Visit Civil War history, Tennessee Aquarium's IMAX 3D Theater, Creative Discovery Museum, Bluff View Art District, Hunter Museum of American Art, and Lake Winnipesaukee with its nostalgic wooden roller coaster and the Cannon Ball. Get your transportation booked early and eased from all worries. We have our fleet of vehicles from Charter Buses and Motor Coaches, Mini Buses and School Buses, Tour Buses and Party Buses, Luxury Entertainers and Limousines, Limo Buses and SUVs, and Sedans and Vans, arranged for you to suit your planned event. Make sure of a comfortable and safe travel through our service. Also, we offer services for your airport transportation and during emergencies. Chattanooga has a small airport and many airlines fly to this city including the cheap airline Allegiant. Direct flights are available from Orlando, Miami and New York. If you are looking for a place to worship in Chattanooga, the places to go are First AG Chattanooga and Bethel Temple. Charter buses are available at a reasonable rate in Chattanooga. Coach bus can hold up to 56 people and it is a great choice for a corporate event or for a private night out. 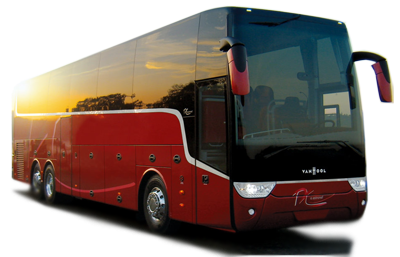 Coach buses come with all the luxury amenities such as lavatory, entertainment system, PA system, and DVD players and all of them are well maintained. Small buses can be used for a group less than 32 and it comes with all the features of a coach bus. Small buses can be charters at $ 675 for a 5 hr tour in town. You can use this small bus for wedding and convention shuttle services. Conference planning takes a lot of efforts and hard work. Planning the ground transportation can be even more difficult for corporate travel planners. They have to take into consideration many factors such as the number of people, the frequency of the service etc. We excel in ground bus transportation management for corporate events. As the biggest charter bus company in town, our fleet includes coach buses and ultra luxury coaches. We have a great reputation for having managed many corporate events throughout the country. A Major portion of our business is corporate travel and travel management services. Picking your employees from the airport to shuttling large groups to and from large events, we do it all very effectively and efficiently. Whether you are holding a sales conference or shareholders meeting we do it with perfection. When it comes to corporate travel management, it has to be done meticulously as well as economically. Armed with a team of professionals and coupled with cutting-edge technology, we will be able to do a superb job on your travel plans. Our fleet consists of luxury sedans, vans, mini coach buses, coach buses, school buses, and executive buses. From the beginning, our travel experts will work with you. A travel coordinator will be assigned you and that person will in charge of planning, executing the travel arrangements. If your group size is over 1,000, a team of travel planners will be assigned the task and we'll make sure all goes well without a hitch. Entertainment & Amusement Park – Unfortunately, Chattanooga doesn’t have a mainstream amusement park of its own, but there is one just 15 minutes away. Located in Lakeview, Georgia, the Lake Winnepesaukah Amusement Park is fun for all ages of the family. The family amusement park features roller coasters, a water park, rides for the young ones, and more. If you would rather stay within city limits, Coolidge Park features a restored, historic carousel. Arts & Cultural – Chattanooga is a goldmine for art. First, you have the Hunter Museum of American Art. It focuses on art from colonial times to current. Different styles of art are also displayed here, from American impressionism to contemporary art. After you visit the Hunter Museum, head over to the Creative Discovery Museum. The children’s museum focuses on art, music, science, and more. They also have a “water-themed zone”, an exhibit on the rooftop, and open exhibit space. Restaurants & Shopping – If you’re looking for a great place to shop, head over to Hamilton Place. This shopping mall is the largest in the city as well as one of the largest in the whole state. With over 200 stores and services, as well as many restaurants, it’s no wonder why the mall is so popular. Another mall, although much smaller, is Warehouse Row. They feature more local and private businesses and services. Sports Venue – If you enjoy sports, visit the Mckenzie Arena, the home arena for the University of Tennessee’s Chattanooga Mocs men’s basketball team. It has a large capacity of slightly over 10,000 seats. Another place to visit is the Maclellan Gymnasium, the home of the University of Tennessee’s Chattanooga Mocs women volleyball and wrestling teams. If you prefer watching baseball, head over to AT&T Field, home of the minor league Chattanooga Lookouts. 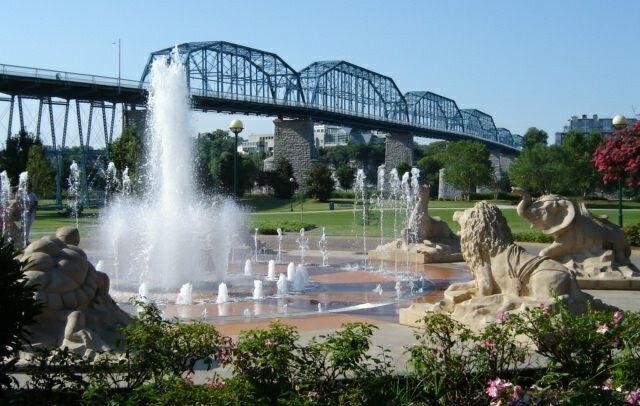 Historical Sites & Landmarks – Chattanooga has several popular historical sites and landmarks. The most popular is Lookout Mountain, a mountain ridge that partially separates the city from the state of Georgia. The mountain was a battle site during the Civil War, but today offers trails, caves, and paths for visitors to explore. On the Georgia Side, you can visit the Rock City Gardens. This is a pathway from which you can observe gardens, trails, and a view of 7 states. There might not be a more beautiful view in Chattanooga than this. Parks & Outdoor Activities – There's a lot to do outside in Chattanooga. First, you have all the activities on Lookout Mountain. From trails, caves, and pathways to gardens and beautiful views, it has it all. Within a cavern of the mountain, you can find Ruby Falls. Ruby Falls is a 145 foot underground waterfall. Other great outdoor attractions include Coolidge Park, Justin P. Wilson Cumberland Trail State Park, and more. Zoos & Aquariums – If you enjoy the company of animals, head over to the Chattanooga Zoo. The 13-acre zoo was established in 1937 by the city’s council. Today it holds various species of animals, the total number of animals over 850. Another great place to view and learn about animals is at the Tennessee Aquarium. The public aquarium, opened in 1992, features many exhibits on river and ocean animals, birds, and more. They also offer interactive shows and events. Other Points of Interest – These attractions are not the only interesting places to visit. The Walnut Street Bridge is a restored historic bridge offering a pathway to several popular attractions. Another cool place is the Tennessee Valley Railroad Museum, where they teach you about the history of travel by train. They also house several collections of railcars and locomotives.